He’s Thursday. I just do the words. He wears the hat. 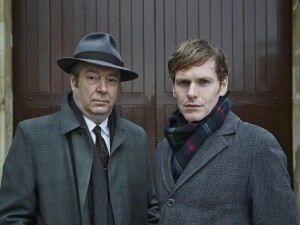 Beginning with a pilot episode set in 1965, Endeavour centres around the early career of a young (not yet ‘Inspector’) Morse. When we first meet this young constable we find a very uncertain figure, typing a letter of resignation to the sound of opera (naturally). Reeling from lost love and disenchanted by his police work, Morse doesn’t seem to quite fit in with his colleagues in Carshall-Newtown. 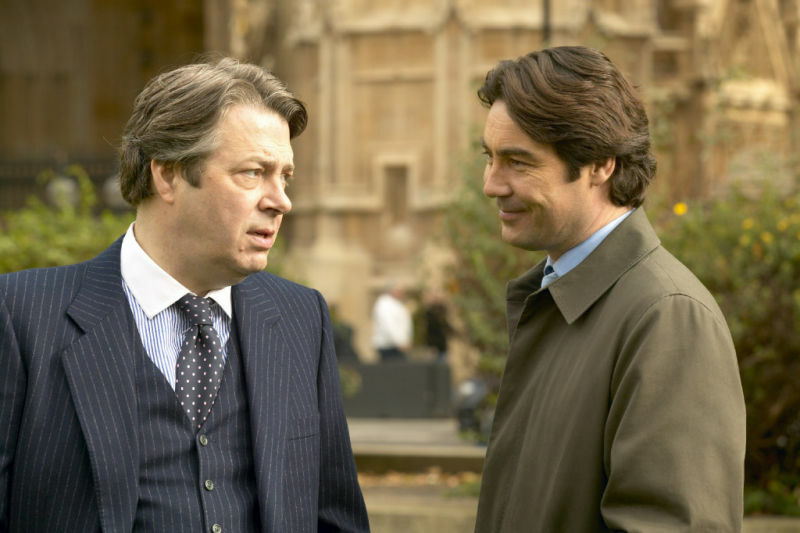 When a case in his old university stomping ground calls for reinforcements, however, Morse quickly comes to the attention of the kind and competent Detective Inspector Fred Thursday. Recognising the constable’s talents, Thursday soon takes Morse under his wing. In the Inspector, Morse finds a much needed ‘father figure’ and, with Morse by his side, former soldier Thursday finally has a ‘bagman’ he can trust. Exploring the power of character archetypes, ITV commissioned two short films – The Patriarch (Roger Allam as DI Thursday) and The Guvnor (Brenda Blethyn as Vera Stanhope). Their sweeping, cinematic feel owe much to the choice of James Marsh – the Oscar-winning filmmaker behind The Theory of Everything and Man on Wire – as director. Both spots feature central characters from current ITV drama series, who epitomise two ‘classic’ TV drama personas. 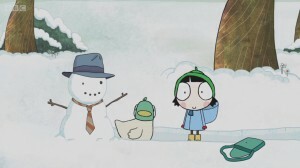 Sarah & Duck won the BAFTA for best Best Pre-School Animation in 2014. The presentation can be watched on YouTube here. Second series of BAFTA winning show The Missing. The first series followed two parents faced with their worst nightmare: their son, Oliver, goes missing when they’re on holiday in France. The second series is not a sequel, although detective Julien Baptiste is once again on the case. 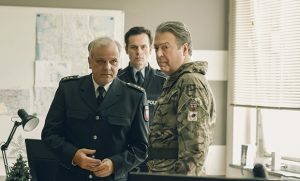 The Missing explores a new drama, tackling a different aspect of the missing person ordeal – when the person is found. A young British woman stumbles through the streets of Eckhausen in Germany and collapses. Her name is Alice Webster, and she was abducted from the same town 11 years ago. Her return sends shockwaves through the tight-knit local community, as her family are thrown into turmoil. As the search for the abductor gathers pace, Alice also appears to hold vital clues to the whereabouts of a second missing girl, Sophie Giroux, whose disappearance was investigated back in 2003 by French detective Julien Baptiste. 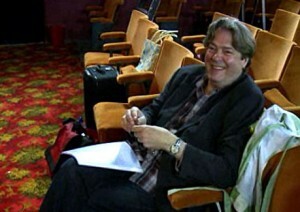 Roger Allam plays Brigadier Stone, the commander of the base in Eckhausen. 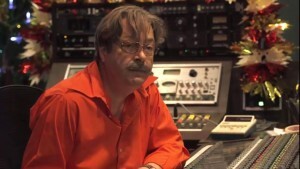 He is a dedicated man who attempts to liaise with the German police on this sensitive case. His daughter is Sergeant Eve Stone, and he’s worried that she is taking on too much at such a late stage in her pregnancy. For full cast and crew, please visit IMDb. 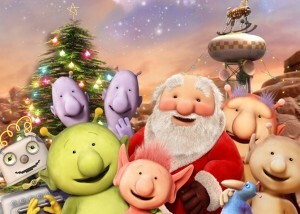 It’s Christmas time on Okidoki and all is calm as Q Pootle 5 and his friends prepare for the happiest time of the year. All is bright too, with the new festive lights festooned across the shack, ready for Groobie’s pantomime. But, when a mayday call interrupts the rehearsal,the friends suddenly find themselves in an epic adventure in which the very future of Christmas is at stake! Bad Education is written by and stars Jack Whitehall. 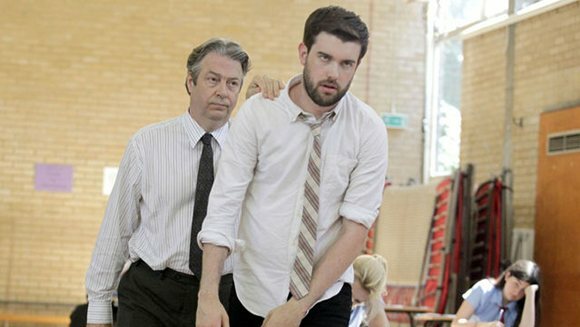 He plays Alfie, the worst teacher ever to grace the British education system and is a bigger kid than the kids he teaches. The teacher your kids would love but parents would hate! In ‘The Exam’ (Series 3, Episode 5) it’s a trip back to school for Alfie wen it’s revealed that he never passed GCSE Biology. Needing to make the grade to keep his job (and regain the affections of fellow teacher, Miss Gulliver) he is is forced to sit the exam at the same time as his students. Fortunately, Alfie has many tricks up his sleeve and is confident that he and his class have everything under control. They’ll be cheating. Unfortunately, things don’t go quite to plan as the exam has to be sat under the all-seeing eye of hard-nosed invigilator, Marcus Hewston. Aiden Hoynes is a senior cabinet minister who has always put his career before family, with the support of Freya, his devoted wife and mother to their two young children. 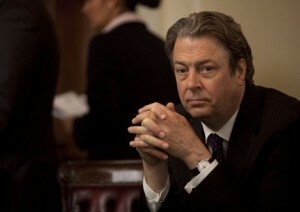 However, he is ill-prepared when Freya’s political career takes off and threatens to overshadow his own. The catalyst for this sudden tumultuous turn of events is the failure of Hoynes’s planned leadership bid. He is thwarted by his friend- the equally ambitious Bruce Babbish- who managed to secure the support of Chief Whip Marcus Brock whose position gives him the power to influence party votes. The Thick of It is a British comedy series that satirises the inner workings of modern British government. The series revolves around the fictional ‘Department of Social Affairs and Citizenship’ (DoSAC), the vague remit of which is allows many different themes to be dealt with. This vagueness in itself is satirical, coming about as it does through one of the Prime Minister’s many (and oft flawed) plans for modernisation at its inception. 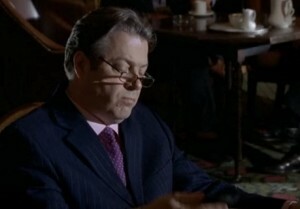 From series one to three the focus is on the government (presumed to be Labour, but never named as such), headed first by Hugh Abbot and then by Nicola Murray- though everyone is aware that the feared ‘director of communications,’ Malcolm Tucker, is really in control. 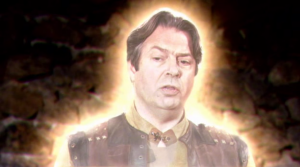 We are also introduced to the opposition, first in a couple of special episodes and then to a greater extent in the third series which leads up to the General Election. 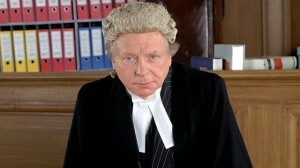 In the fourth series, however, the government and opposition switch places following the election. Peter Mannion is now the Secretary of State for Social Affairs and Citizenship, though, thanks to his party’s failure to gain a majority in the election, he is forced to contend with a junior partner, Fergus Williams. Mannion has also inherited his predecessors’ staff- Glenn Cullen and the openly infatuated Terri Coverley- much to his dismay. 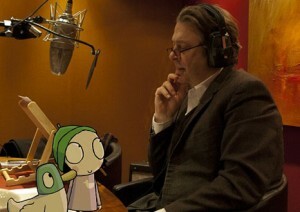 Owing to the production team’s emphasis on making the show appear real rather than scripted, a fair proportion of the dialogue is improvised. 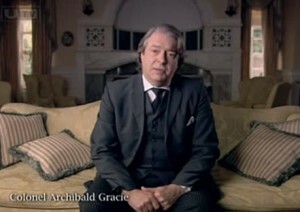 As such, the cast is credited as providing ‘additional material.’ Unusually for a television show, The Thick of It is shot with several hand-held cameras. This, again, adds to the sense that these are real events being captured, as in a documentary. The lack of laughter tracks and incidental music further adds to the show’s ‘fly-on-the-wall’ production style. A talent contest to find the best amateur dramatics company from among the UK’s 3,500 plus groups, Nation’s Best Am Dram gave the winning troupe the chance to perform at the Lyric Theatre in London’s West End. 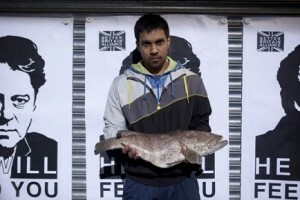 After heated and even “bad-tempered” exchanges, the judges chose the eight best troupes. 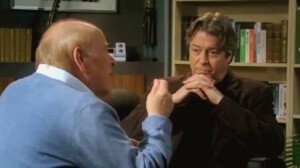 Each received one day of professional mentoring before performing an extended scene from either Chekhov or Ibsen, after which four groups were eliminated. Next was the King Lear round, after which two more companies were sent home, and the remaining two finalists did battle for the prize with performances from Joe Orton’s obscure comedy The Erpingham Camp. Simon Schama argues that it is impossible to understand how Shakespeare came to belong ‘to all time’ without understanding just how much he was of his time. Schama explores how, in his history plays, Shakespeare created a vision of England that still rings true today. Against the backdrop of the Reformation, Shakespeare began to dramatize English history and the English character in a new and unprecedented way. From his first blockbuster, Henry VI, he made sure that his England was not just a place where King and Queens strutted and preened, but where ordinary Englishmen and women took centre stage. It was inclusive vision that Shakespeare expanded upon in his masterpiece – Henry IV – a play which presents England in glorious technicolour: kings and pickpockets, country squires and common prostitutes, corrupt knights and ragged soldiers. And at the centre of it all is the outsized figure of Sir John Falstaff – a character that transfixed Elizabethan audiences and still moves us today. Falstaff is Shakespeare’s most stupendous creation; an outsized dream of Englishness who embodies more purely the essence of English irreverence, generosity and wit that any of the characters with whom he shares the stage. As well as this, an extraordinary cast of actors deliver some of Shakespeare’s most moving and profound soliloquies. Readings and dramatisations of the diaries, accounts and letters from Titanic’s passengers and crew tell the story of the ship, which sank in April 1912. An informative and poignant account of this famous tragedy. The fine cast of actors bring the words of the survivors alive and readings from relatives provide moving reminders of the disaster’s legacy. “The pleasure and comfort which all of us enjoyed upon this floating palace,” wrote Colonel Archibald Gracie, a first-class passenger, “with its extraordinary provisions for such purposes, seemed an ominous feature to many of us, including myself, who felt it almost too good to last without some terrible retribution inflicted by the hand of an angry omnipotence.” Gracie survived the disaster despite having spent a fair time in (and at one point under) the icy water of the Atlantic Ocean after the ship went down, almost taking him with it. Fortunately, he was able to free himself from the ship’s undertow and cling to the slick keel of an upturned collapsible lifeboat until help eventually came. In the dying days of the Edwardian Empire, Christopher Tietjens enters into a destructive marriage with the beautiful but cruel socialite Sylvia. Based on Ford Maddox Ford’s novel of the same name, Parade’s End is a somewhat atypical example of a period drama set in and around the First World War. In the series, as in the novel, the war is not the focus but rather one of many layers of the protagonist’s troubled existence. As Robie Macauley wrote of the novel “the Tietjens story…is less about the incident of a single war than about a whole era” and its destruction. “Ford took as the scheme for his allegory the life of one man, Christopher Tietjens, a member of an extinct species, which, as he says, ‘died out sometime in the Eighteenth century.’ Representing in himself the order and stability of another age, he must experience the disruptive present.” General Campion- Tietjens’s godfather- is also a remnant of a dying breed, a stereotypically old-school army officer who is continually baffled: by modern society, by the new methods of warfare and by the way his godson is conducting his private life. A man sentenced for the murder of three women, each of whom he had met on an internet dating site, is being retried just at the point when the system of ‘trial by jury’ is facing its harshest criticism. This series focuses not just on the trial itself and the possible crimes of the accused, but also on the lives and motivations of each of the jury members tasked with determining his guilt. We are given glimpses of their backgrounds- their work lives, families and the very different existences they lead in the ‘real world,’ far removed from the legal world they have been suddenly called to be a part of. Although we do not get to ‘follow the barristers home’ in the same way as we do the jurors, we are however given tantalising glimpses of their personalities in their interactions with each other outside the court. Beneath the wigs, these figures are very human too, and this humanity is at the forefront of the series. In the near future, a failure in global harvests has led to a catastrophic food crisis, the collapse of British society and the rise of extremism. An official from the ailing government goes on an odyssey to find the leader of the dominant far-right party, intent on ending the madness and inhumanity. Alistair is the leader of the underground but popular extreme right-wing group the BBA (‘Better Britain Alliance’), whose policy recommends deporting all non-British citizens. The official’s intention is to fulfill his mission by poisoning Alistair and his quarrelling henchmen, but the plan goes awry, giving Alistair an autonomy which is the very opposite of what the government had wanted. Seven noble families fight for control of the mythical land of Westeros. One of these families- The House of Targaryen- has the allegiance of Magister Illyrio Mopatis, a figure of immense wealth and power. 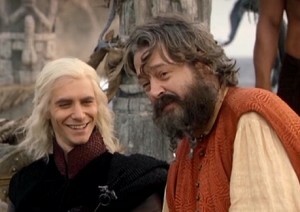 Ilyrio brokers the deal to ‘sell’ Daenerys Targaryen in marriage to the savage Khal Drogo of the war-like Dothraki. In return, Daenerys’s brother Viserys will receive the assistance of the Dothraki army which he hopes will help him to retake his throne. As the host of the wedding, Ilyrio gifts Daenerys with three dragon eggs, seemingly turned to stone by the passing of ages. Will Smith, like his character in The Thick of It, Mannion’s aid Phil Smith, is a huge fan of this show and references it several times. Ashes to Ashes is a crime drama series continuing the premise established in Life On Mars, in which a police officer, wounded in the line of duty, finds himself transported back to another era, facing a fight to survive and find his way back. This time, it is DI Alex Drake who is seemingly transported back in time from 2008 to 1981, finding herself in the world of DCI Gene Hunt after having been shot. Now, she must find a way to get back to her own time and her daughter, Molly. In the second series, Alex – by now more attuned to her new surroundings and colleagues – finds herself up against a rising tide of backhanders and masonic handshakes as she continues her struggle to return home. Police corruption is the name of the game as she and DCI Hunt endeavour to expel corrupt officers from the force headed by new Superintendent Charlie “Supermac” Mackintosh – a gruff and worldly-wise superior who seems to inspire respect and trust in those around him. But all is not as it seems, and the corruption runs deeper than any of them realise. The series, set in an ancient fantasy realm, follows reluctant hero Kröd Mändoon, a ‘thin-skinned and underconfident freedom fighter’ in his struggle against an evil ruler, Chancellor Dongalor. His sword, created by his father, bursts into flame when he is challenged or in danger. When Kröd’s mentor, General Arcadius, is killed, he is devastated (as is Bruce, Arcadius’s lover). Fortunately, Arcadius’s influence remains as he is able to appear at different times in spirit form to advise Kröd regarding his ‘Golden-One’ abilities and duties. The Old Guys is a British comedy series that revolves around two aging housemates: Tom Finnan (Roger Lloyd-Pack) and Roy Bowden (Clive Swift). 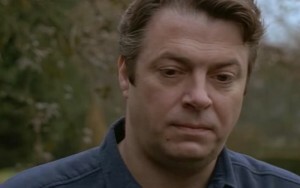 In episode S01E02, ‘The Therapist’, a depressed Roy goes to see a therapist and tells him about his frustrating unrequited love for Sally. Unfortunately the therapist, Ned, and Sally actually meet and are attracted to each other. To make matters worse, Roy has been acting as Sally’s campaign manager in her bid to save the local post office from closing and at the celebratory party who should turn up to take Sally’s attention from him but Ned? Series 3, episode 4 contains a 3-minute parody of the hit series 24, in which special agent David has 20 minutes to prevent terrorists blowing from up a plane over Houston. Fortunately for David, he has a British agent cleared for ‘code red’ at his disposal and ready to send the email he dictates. Unfortunately, she turns out to be completely inept. All is not lost, however. He learns that you can use different fonts. Spooks is a BBC drama series about the different challenges faced by the British Security Service as they work against the clock to safeguard the nation. 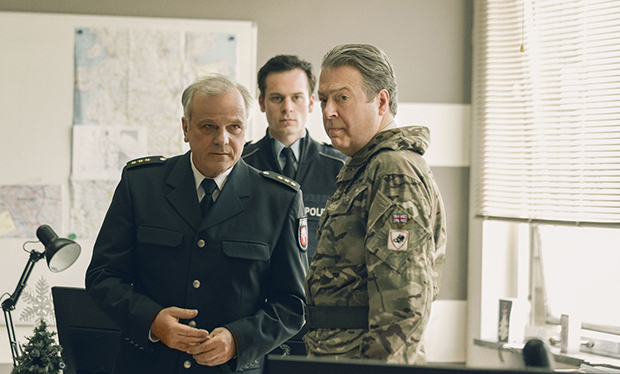 In the first two episodes of series 5, the country is suffering from fuel and energy shortages as a result of terrorist activity, putting the government in a vulnerable position. The tension escalates around London when three people die from a chronic cough, which could be evidence of biological warfare. 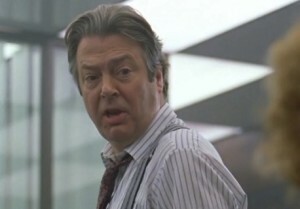 This is no time for any mistakes, and agent Harry Pearce goes straight to one of the most influential men in the country, media mogul Paul Millington, to beg for him to tone down the rhetoric of his news outlets. Millington agrees (reluctantly). However, when the Special Policy Advisor to the PM issues a report insisting that the public remain calm, Millington incenses MI5 further by burying the story on page 5. This will certainly not be the last of their dealings with this scheming man and his equally powerful friends, intent on having the country run as they see fit. The Robinsons revolves around Ed Robinson’s relationship with his family, including his bickering parents, his successful older brother George and his perfectionist sister Vicky. In episode 3 of the first series, Vicky dates Mungo, a gynaecologist who is attracted to her blunt honesty. However, he soon realises that honesty isn’t always the best policy: especially in the bedroom. In episode 2 of series 5, incompetent nurse Bernie is told to meet a new doctor- ‘Hilary.’ Expecting a female doctor, she attempts to seduce an unsuspecting man sat in the waiting room. 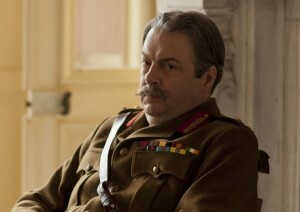 He’s not a doctor, but has ‘that look of authority’ that ‘can be very attractive in a man’ (or so she informs him). Unfortunately, her ‘victim’ turns out to be Sir Hilary Donovan, the surgeon she was supposed to meet. Aristocratic Detective Inspector Lynley is joined by working class sergeant Havers as they work to solve a series of murders in the screen adaptations of the books by Elizabeth George. 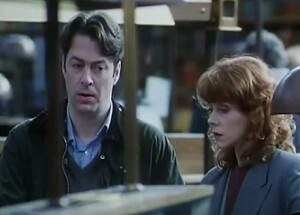 In ‘A Seed of Cunning’, the duo is called in to investigate when a body is found in the Thames. The victim is later revealed to be that of a doorkeeper of the House of Lords- forcing Lynley to take a reluctant trip back through his upper-class roots in his hunt for the killer. Wading his way through the murky waters of modern politics, Lynley is re-acquainted with an old acquaintance from his student days. 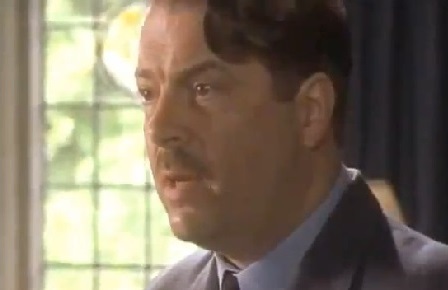 Simon Featherstonehaugh (pronounced ‘Fanshaw’) is now the Deputy Chairman of a potentially far-reaching committee which seems to be in some way implicated. However, this group is tight lipped and powerful, making the detectives’ job even more difficult. Their pursuit is soon complicated further when a second victim is found, the body bearing the same hallmarks as the first. As World War II rages, police inspector Foyle fights his own battles against crime on the home-front. 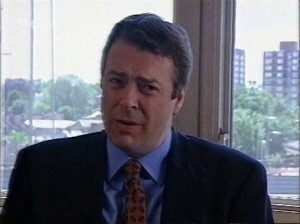 In series 1, episode 4 (‘Eagle Day’), Foyle investigates the case of a man found stabbed to death in a bombed out building. Meanwhile, Foyle’s son Andrew has been tasked with assisting with an important (and top-secret) radar program. Though he proves to be a very effective test-pilot he is soon troubled by what he learns from a young woman he befriends at the base- might the suicide of a WAAF somehow be linked to his father’s latest case? Whatever the case, it seems that RAF Group Captain Alistair Graeme- First World War hero and tactical genius though he may be- is certainly at the centre of this whole affair. It just remains to be seen how the RAF would be willing to go to maintain their cover-up. Waking the Dead is a police drama series where a group of experts seek to solve cold cases. In this series two double bill, ‘Thin Air’, the team tries to discover the truth behind the disappearance of an eighteen year old girl from Hampstead Heath in 1989. Thirteen years have passed since Joanna Gold was filmed running off in the direction of an ice cream van, never to be seen again. It’s been many years since there were any leads, but when the girl’s dress is found the case opens wide once again. Using the latest investigative techniques, Detective Superintendent Boyd and his team can finally make some headway. Central to this case is the missing girl’s family. Understandably distraught, Mrs Gold formed a charity after their daughter’s disappearance which aims to help families like theirs to reunite with their loved ones. Though supportive of his wife’s efforts, husband Benjamin informs Boyd that he never really shared his wife’s hopes that Joanna was alive. Her loss has made him extremely protective of their other daughter, Clara- he guards her fiercely, as he does his own secrets. 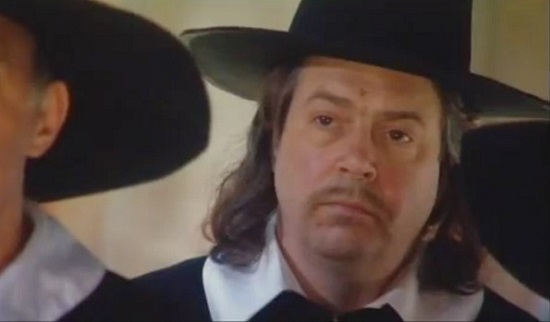 A drama documentary looking at Oliver Cromwell’s life and rise to power. Revealing much about the complex character behind the legend, this show examines new historical evidence about Cromwell’s moods and motivations and the belief that he was being propelled forward through the will of God. 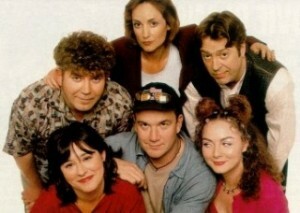 Initially a three series Radio 4 comedy broadcast from 1996 to 1999, Chambers’ move to television recycled and adapted many of the old scripts, though not all in the same order. 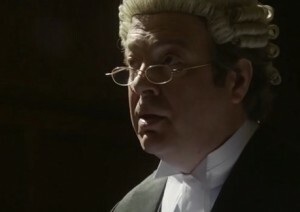 Written by barrister Clive Coleman, the series stars John Bird in the role of John Fuller-Carp, a monstrously egotistical and avaricious barrister heading Forecourt Chambers. In series 2, episode 6, ‘A Case with a View’, Fuller-Carp’s life is turned into disarray when his 15 year-old nephew, Leo, comes to stay with him. Matters come to a head when he is forced to attempt some legal trickery to get the boy off a burglary charge. We are also introduced in this episode to Quentin Fuller-Carp, John’s brother and the troublesome Leo’s father. The Creatives is a BBC comedy series following the lives of the staff working in a Scottish advertising agency. At the agency’s head is the misogynistic, alcoholic and yet strangely endearing Charlie Baxter, whose past successes have since dwindled. Now he seems to live in the office, working and drinking until the sun comes up and he staggers out in yesterday’s clothes. He is helped and hindered in his quest to create award-winning adverts by his staff which includes his second-in-command- the more practical Lauren who has a fondness for men in costumes. She is involved in a covert relationship with ad exec Robbie (which began when he was dressed as Batman) who works alongside friend and confidante Ben (a wannabe writer). 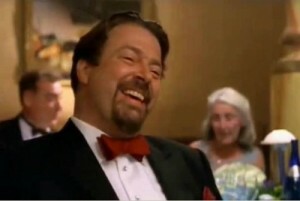 Ben is, in turn, married to Charlie’s feisty and extremely jealous Spanish PA Tanya. The comedy for the first series is sparked by the recruitment and yet unexpected arrival of new employee Rhona who the men seek to acquaint themselves with and the women seek to tolerate. At the same time they must all strive to produce the advertisements they are actually being paid to make. Heartbeat is a British police drama series set in 1960s Yorkshire. In series 8, episode 16, ‘Echoes of the Past’, expectant mother Jane Hayes, begins to hear strange noises and experience unexplained goings-on in her new home in the fictional town of Aidensfield. The local constabulary are quick to investigate the matter if only to put Jane’s mind at rest as her due date is not far away. Her fears, however, are by no means allayed by Miss Barker, an employee of the house’s previous owners, who tells the story of a Victorian servant girl who is said to haunt the manor, listening for the cries of her lost baby. As Jane struggles to cope, she receives the support of her unflappable husband, Graham, a prominent local businessman who is invited to judge a local ballroom dancing competition. It soon transpires that it is not a ghost that is haunting Mrs Hayes, but the events of her past. Chief Inspector (‘Endeavour’) Morse and his Sergeant Robert Lewis investigate crimes in and around the plainly deadly city of Oxford. 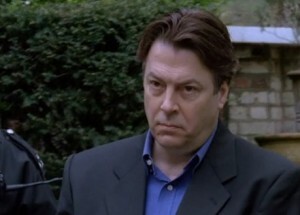 In ‘Death is Now My Neighbour’- the third of five special episodes- Morse investigates the murder of a young woman who was shot through a window in her home by a gunman standing outside and seeing her silhouette through the curtain. When the victim’s next-door neighbour, a controversial journalist, is also killed, Morse suspects that there might have been a case of mistaken identity and seeks to establish just how it might link in with the hotly-contested forthcoming election for the position of Master at his old college, Lonsdale. 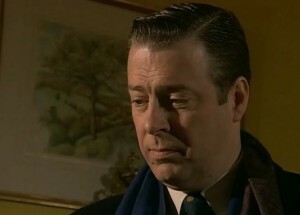 Put on the trail by a cryptic message found at the murder scene, Morse begins to suspect the key might lie with the candidates- Dr Julian Storrs (whose wife appears keener on him getting the position than he does) and recently married Denis Cornford- or even with the incumbent Master himself, Sir Clixby Bream. One of the victims’ neighbours, Adele Cecil, has also caught Morse’s attention, though in a way that his sergeant fears might have clouded his judgement. She, in turn, has taken on a case of her own: to learn the Inspector’s first name. The Bill is a modern police drama focusing on the day-to-day lives and careers of the cops and crooks of London’s fictional Sun Hill police station. In series 13, episode 88, ‘Hitting the Nerve’, Detective Inspector Chris Deakin and his sergeant, Alistair Greig, are on the tail of the seemingly untouchable criminal, Richard Parks. With one of the witnesses concerned in Parks’s impending trial missing and the other in a coma, the pressure is on the police to prevent their suspect slipping through the net and evading justice yet again. However, in order to do this they must also negotiate the slippery dealings of Parks’s eminent lawyer and cohort, Ralph Marchbank. The life and death of King Henry IV, and the coming of age of his son Prince Hal. 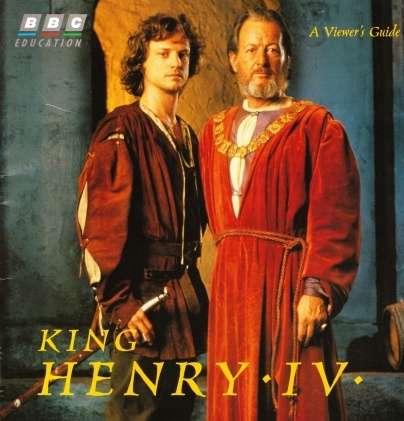 Made on an unusually large budget of £1 million, John Caird’s adaptation of Henry IV was the BBC’s biggest Shakespeare project since the close of the BBC Television Shakespeare (1978-85) a decade earlier. 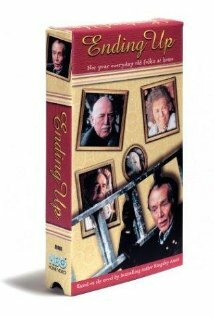 Several episodes of this series have been released on DVD, Allam’s episode hasn’t. Video clips from the episode are available in UK libraries. 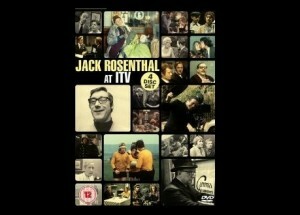 See the BFI website. 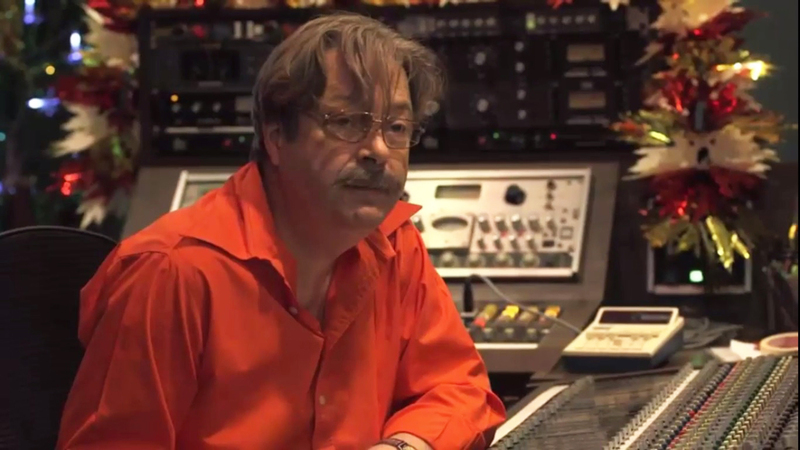 Producer Kenith Trodd was part of a 1984 team brought together to study how the BBC should respond to Channel Four’s pioneering efforts in making films for both television and theatrical release. 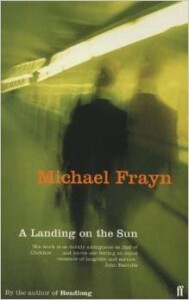 The result was a transition from the earlier concept of studio-made plays, such as ‘Play for Today’ and the introduction of the new BBC anthology film series, ‘Screen One’ and ‘Screen Two.’ In series 10 episode 15 of Screen Two, ‘A Landing on the Sun’ (based on Michael Frayn’s novel of the same name), a television company’s investigation into the death of civil servant Stephen Summerchild twenty years earlier prompts the Cabinet Office to begin its own reassessment of the case. It is particularly pressing that they get to the bottom of it first, as it is rumoured that the events might have had a connection to a secret defence project. Brian Jessel is the civil servant tasked with the investigation. At the time of his death, Jessel learns, Summerchild was working on a Cabinet project, under the Oxford philosophy don Elizabeth Serafin, to find the “quality of life” in Britain. He also comes across a box of audio tapes from the project containing all of their discussions up to the time Summerchild fell from the Admiralty Building. Between The Lines is set in the Complaints Investigation Bureau (CIB) – the department responsible for investigating other police officers – of London’s Metropolitan Police. 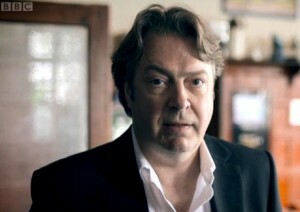 In the last three episodes of the third series, the team infiltrates a far right group. The last episode ends on a cliffhanger, the conclusion of which has never been revealed. In series 13, episode 4 of this series, ‘Out of Sight, Out of Mind”, production assistant Sue Frawley returns from Soweto and her experiences have affected her deeply. Only when she is forced to watch the film taken there does she realise what affect the experience has had on her.